Stop fighting tough starting mowers and dealing with the hassle of gas and oil. Starting today! 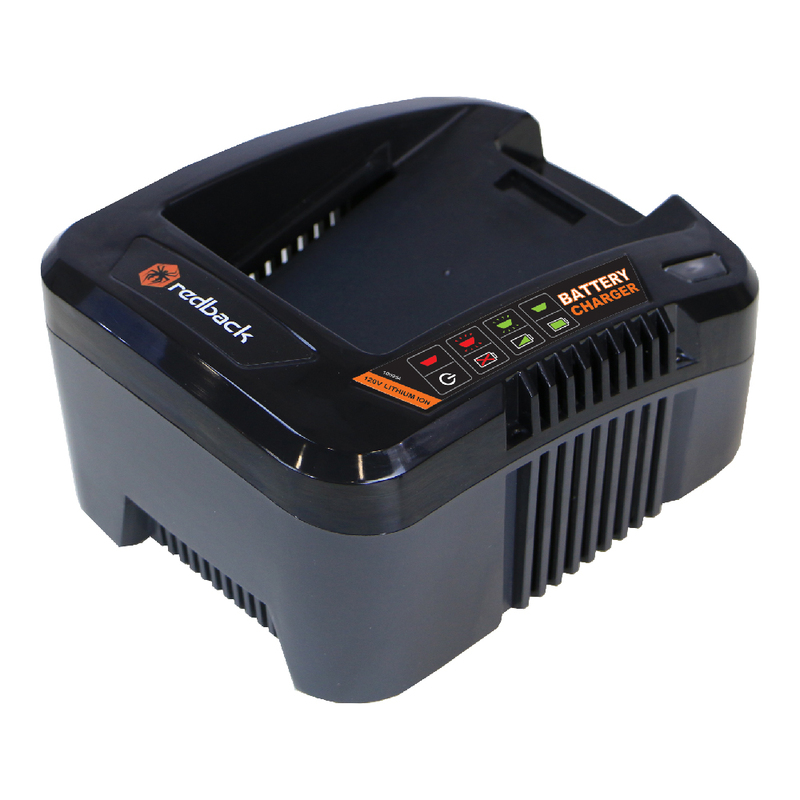 Experience the powerful, easy to use Redback 120V Cordless Li-ion Self-Propelled Lawn Mower. 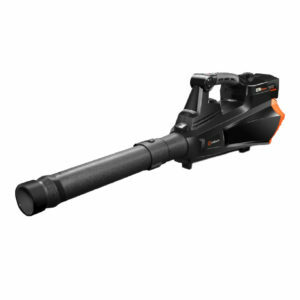 The ultimate 3-in-1 Redback lawn mower allows you to bag, mulch, or side discharge. 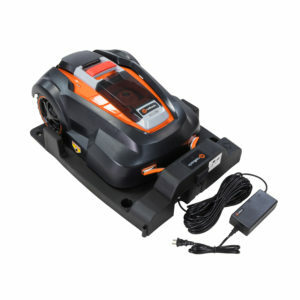 This powerful electric lawn mower is packed with features including a brushless motor that senses the optimal mowing speed, applying more power when necessary to eliminate getting bogged down in thicker patches of grass. 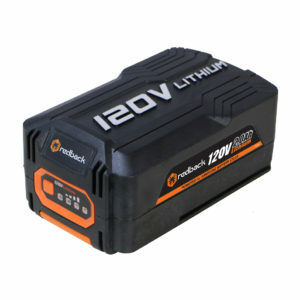 Built-in smart technology maximizes run time, motor life, and battery charge; using only the power required for the task at hand. The best part? Instant starting and an extremely quiet operation. 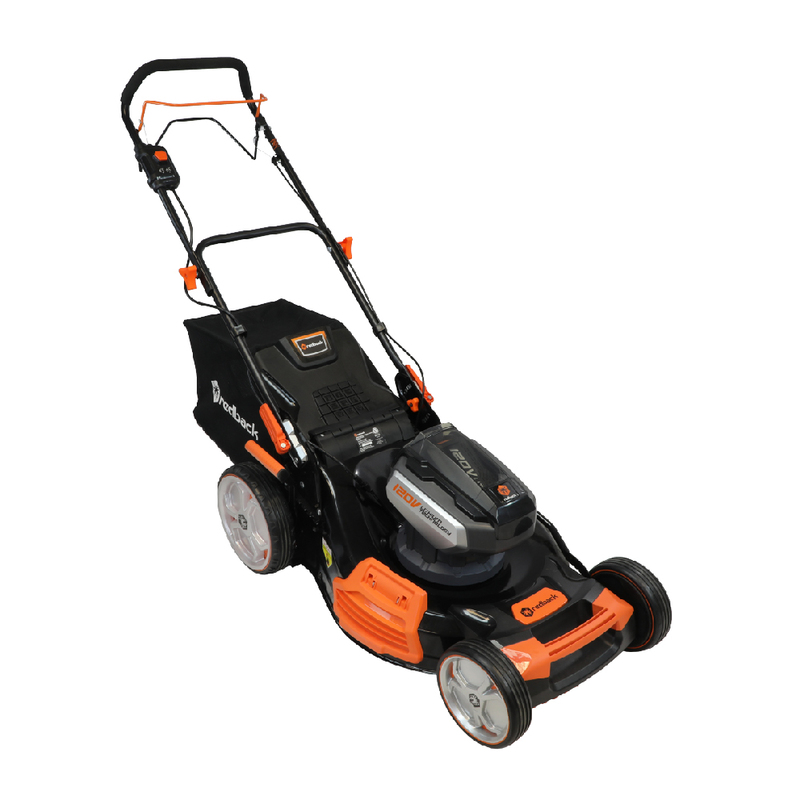 Up to 4000 rpm speed and a 22″ cutting deck, perfect for mowing yards of all shapes and sizes. The mower deck has 5 height positions ranging from 1 to 3 inches. 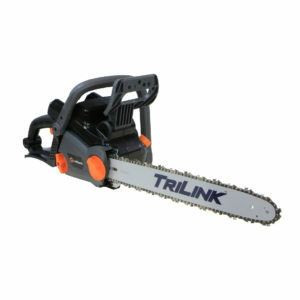 Enjoy ergonomic height-adjustable handle grips to easily cut your grass at your preferred height. You’ll always know your battery’s remaining charge with the convenient handle-mounted battery capacity indicator. When space is limited, take advantage of versatility by simply folding up the handle. Includes everything you need to get started – the mower, two 3.0Ah batteries, and one battery charger. Estimated Run Time: over 60 minutes. Rest assured knowing all Redback products are backed by a 5-year warranty.